Before I can think about building my small dream house, I need a place to put it. Whether it's a Tumbleweed or a couple of shipping containers, being able to secure a small bit of land--my place in the sun--is the necessary first step. I can't do it alone ! Currently over 50% of my income goes towards rent on my small apartment, so it's very hard for me to save money to finance even relatively inexpensive plots. That's where you come in! Even $5 would help me towards my dream of putting down some permanent roots and stretching my branches towards the sky. I truly appreciate every dollar! 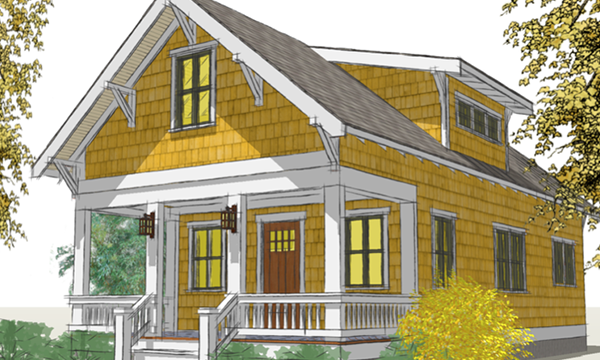 The Poplar Bungalow--the house I would love to build when I have land to put it on!